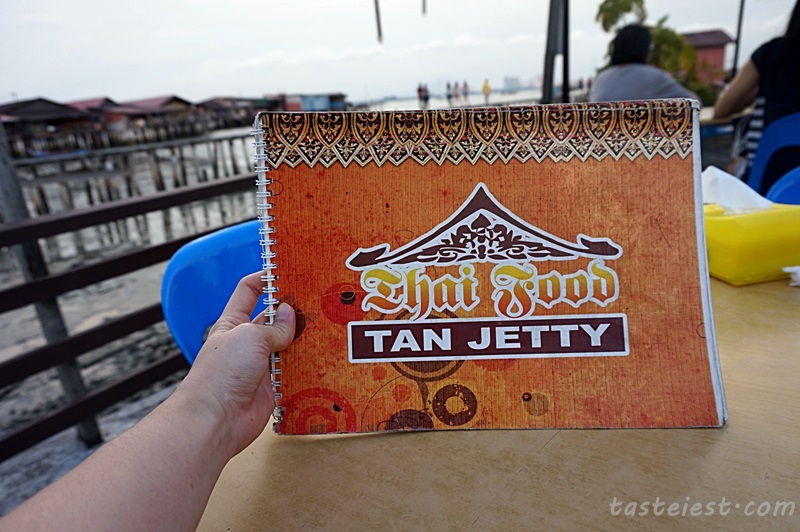 Tan Jetty Thai Food is one of the famous Thai food that is well known among Penangkia. It has been established since many years back but only recently we pay a visit to this shop, just within a week time we visited twice as we addicted to the nice Tomyam soup. 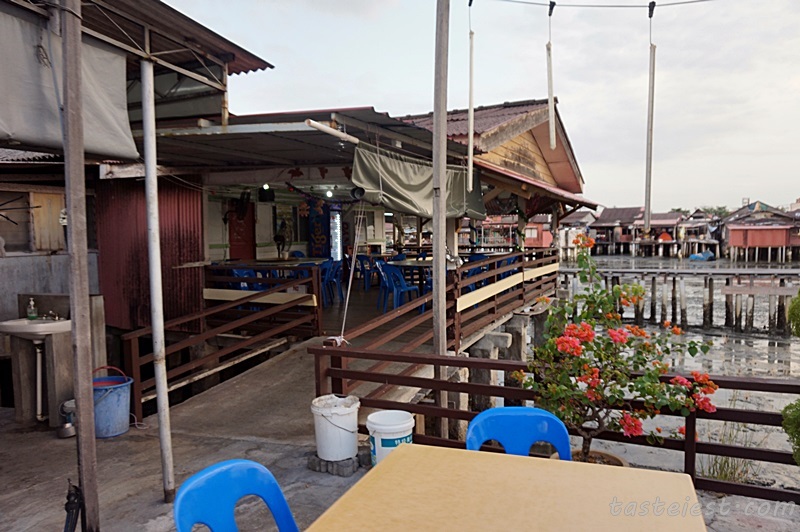 Parking are available next to the restaurant but limited, you may park your car at opposite entrance of Tan Jetty and walk inside. It just few minute walk, just be sure to respect the neighborhood by not making noise. 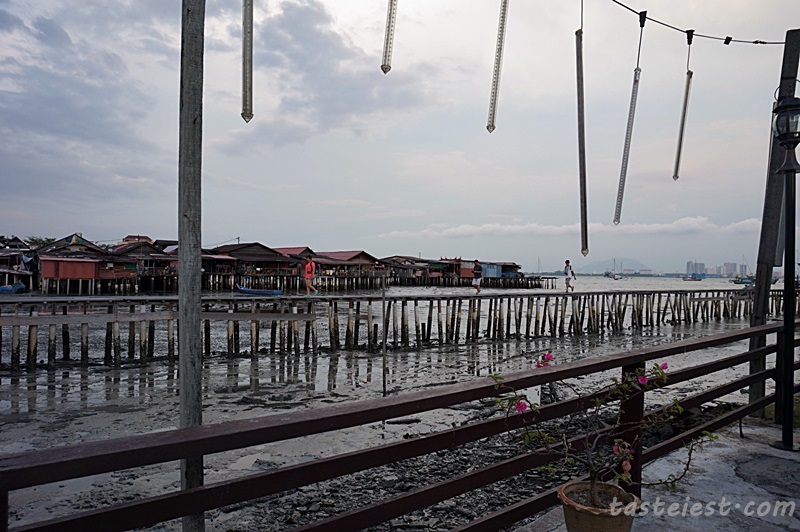 Seaview from the restaurant, it is a little bit smelly during low tide but it is perfectly fine during high tide. If you are lucky you may see people taking wedding photography at the wooden road. It is public road lead to a Chinese temple. Nice view for photo shooting. 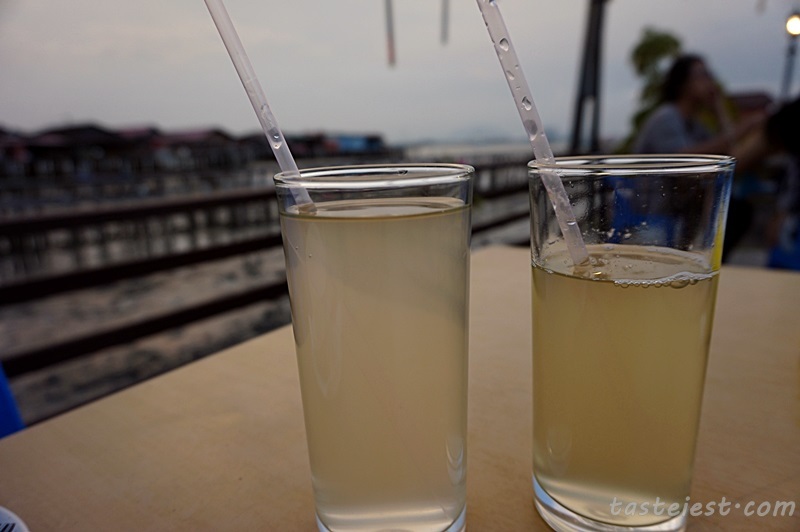 Lemon grass drink, it is very healthy drinks that has strong lemon grass flavor and not too sweet. 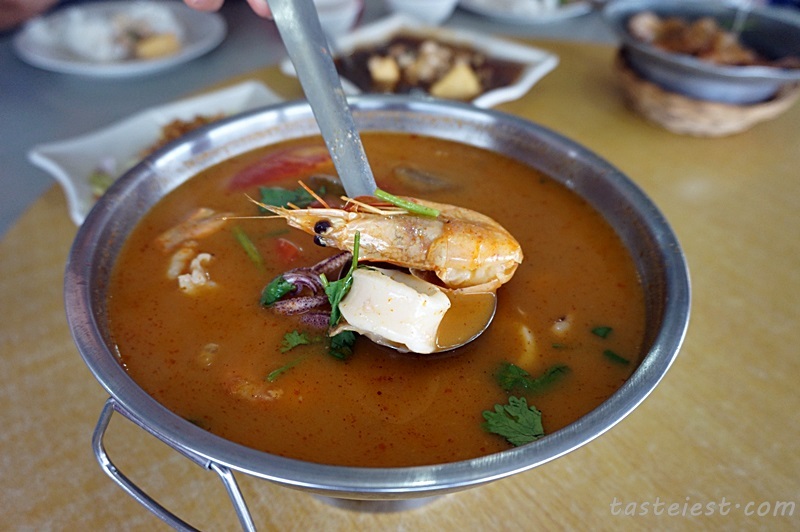 Tomyam Soup is our favorite, the soup is spicy and sour. 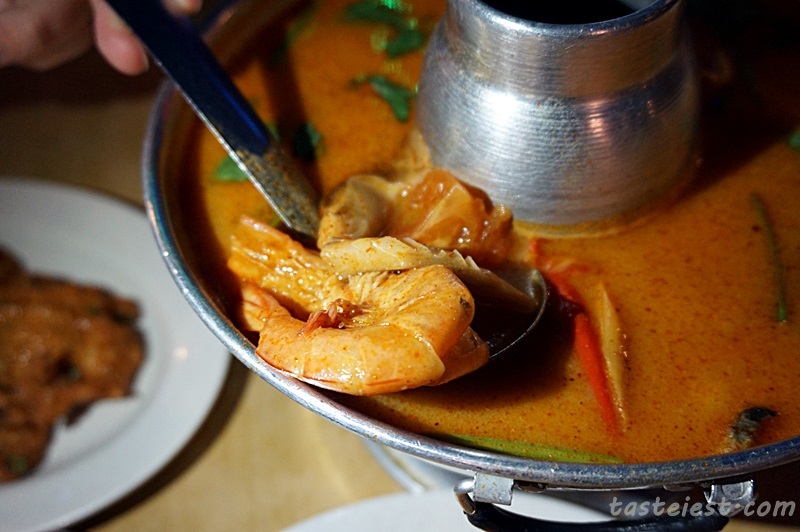 You can choose to have mix seafood or prawn. 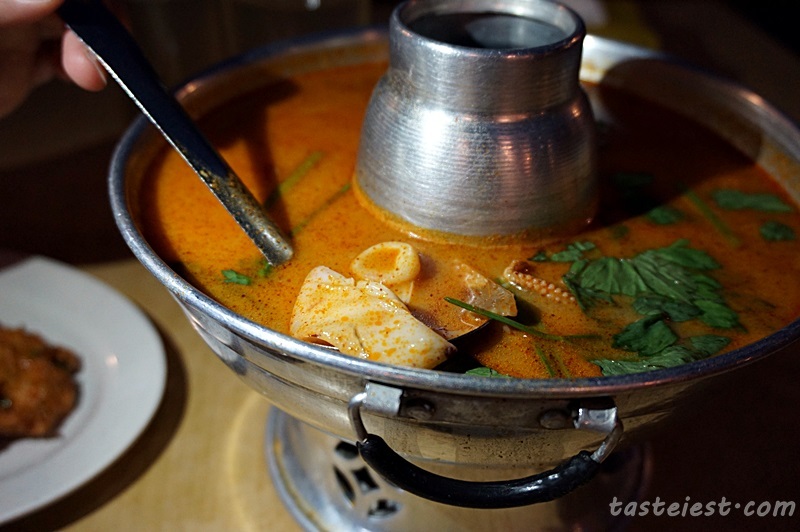 I can finish one big plate of rice with this tomyam soup, it is really appetizing. 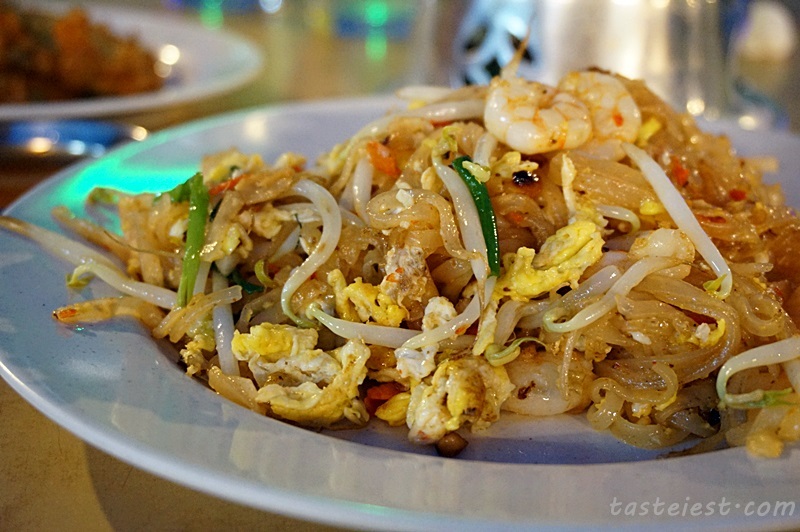 Pad Thai, we try original Bangkok Pad Thai before and it really delicious but here the Pad Thai just so so only. 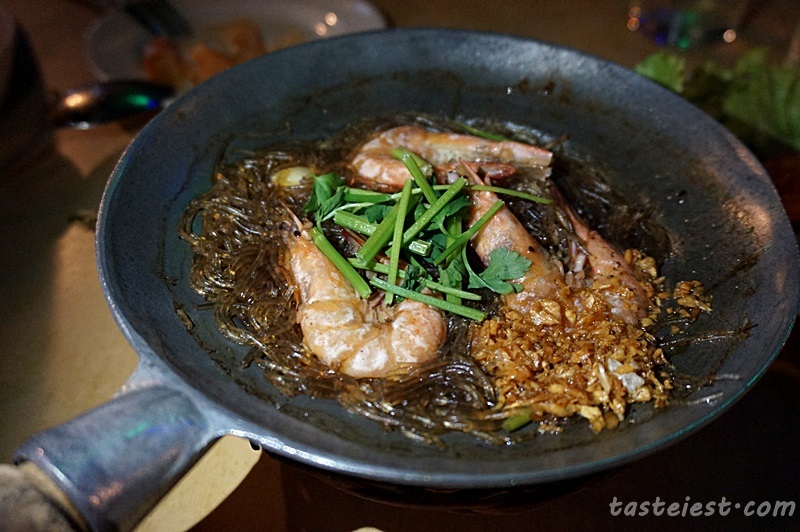 It somehow lack of some flavor and without the present of small dried shrimp make it taste just normal. 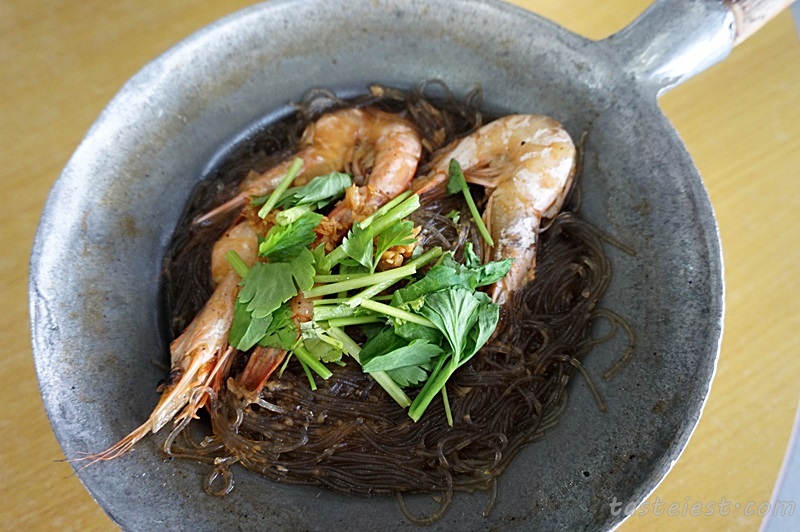 Prawn Glass Noodle, another favorite dish. 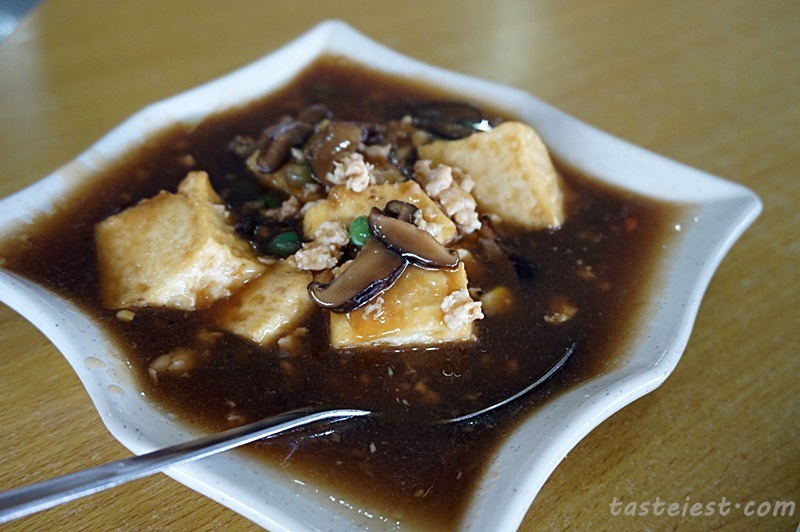 The glass noodle is nicely cook and absorb the sauce flavor. 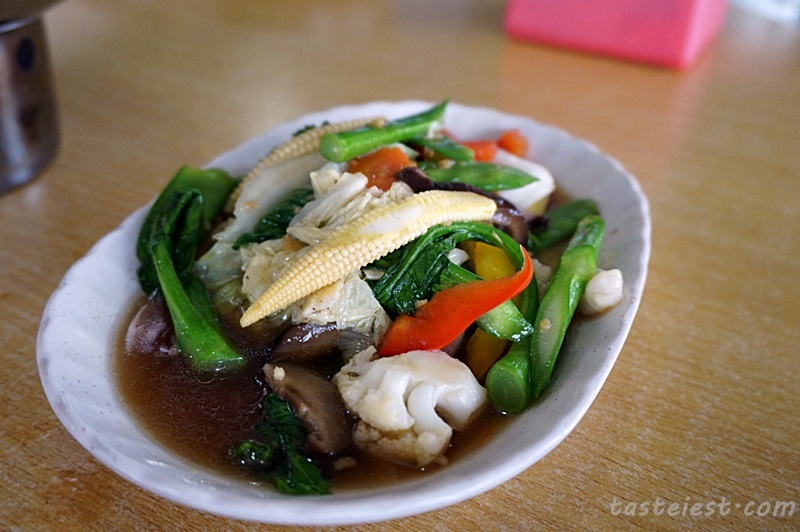 It has soy sauce and black pepper taste with one type of vegetable that i just failed to name it, the combination create a very nice flavor. Within the same week, we visit again and we eat pretty much the same thing. 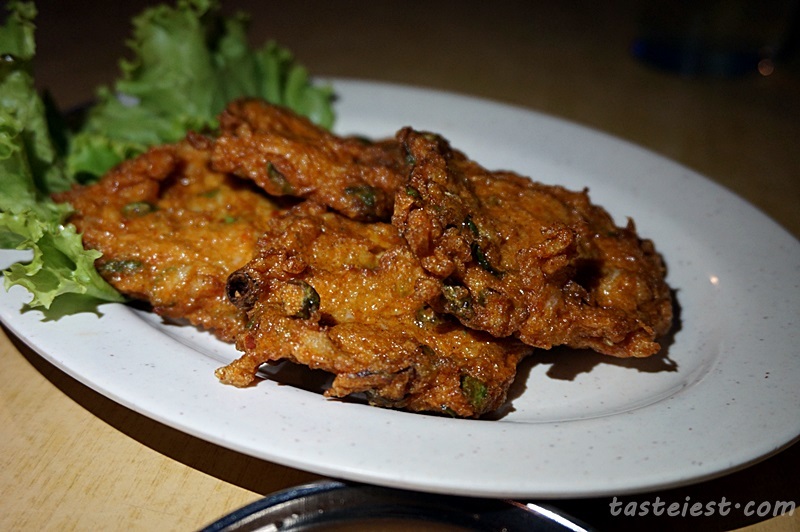 Green Papaya Kelabu is very crunchy and appetizing. 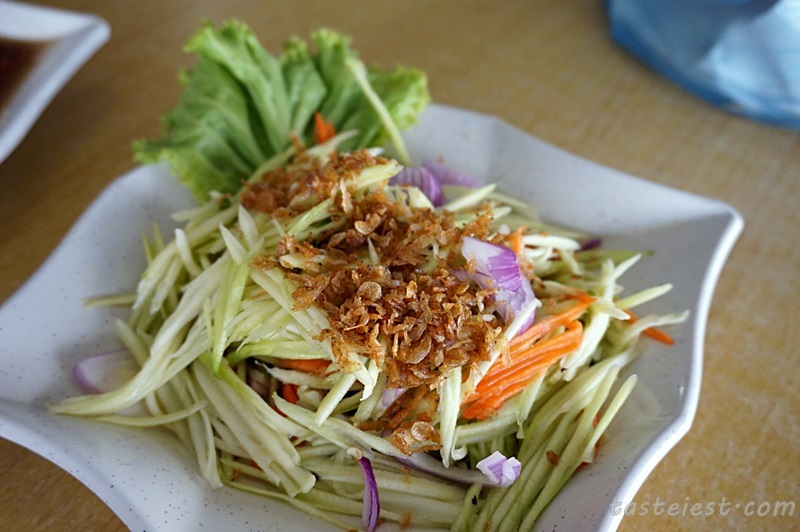 Green papaya, carrot, onion and dried shrimp top with sweet and sour sauce. 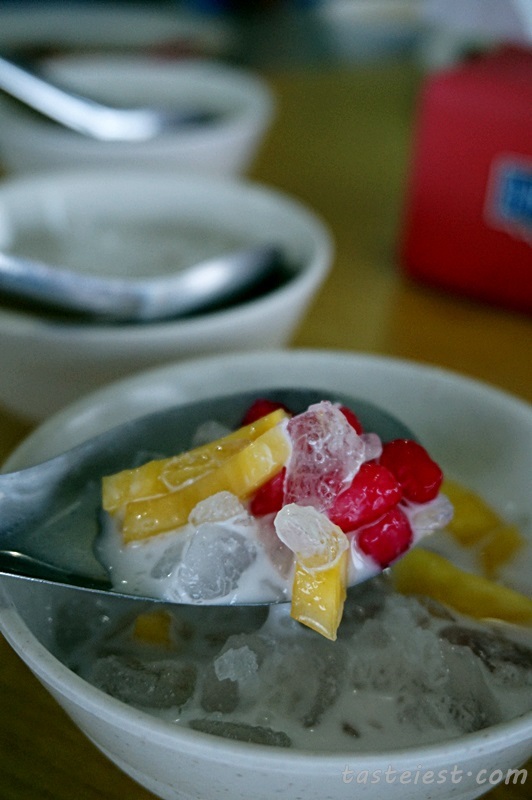 Tab Tim Krob, combination of jack fruit and water chestnut in coconut milk.